Earlier this year the Family Holiday Association joined forces with travel adventure company Exodus to offer two people the chance to take part in a once in a lifetime trip to Nepal. 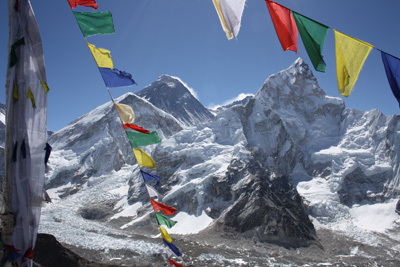 They would be taking on the infamous trek to Everest Base Camp in order to raise money for two charities – the Family Holiday Association and Exodus’ Nepal Earthquake Appeal. We’re delighted to say that Heather Richardson and David Bloor embarked on their journey next week on the 23rd September! As well as being an amazing adventure, the climb is no easy feat – it involves 12 continuous days of trekking through the Himalayas towards the summit, not to mention climbing Kala Pattar, which stands at a further 5,545m. Heather Richardson is Marketing and Editorial Manager at luxury travel and safari specialist Jacada Travel and is a freelance writer, specialising in travel. 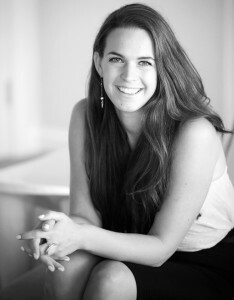 In 2015, Heather was selected as one of 30 under 30 travel leaders of the future by TTG Media and TUI. In the same year she also won her first travel writing award at the Belmond LATA Media Awards and won runner-up in the same category this year. She’s been published in the UK, US, Australia and India! 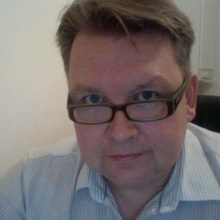 David Bloor works in Design for TUI Travel Plc and has done for the past 7 years. David has recently been through a very tough year – last summer he was diagnosed with meningitis and found himself fighting off septicaemia, severe blood loss resulting in 2 transfusions, an erratic heart beat and possible amputation of at his right leg. He spent weeks in hospital without being able move his legs to walk and had to go through a long period of recovery. David returned to work in September last year and has been getting better each day. He says he now thinks “it’s time to live life and grab every opportunity that comes along”. So to Everest Base Camp it is! There is still time to sponsor Heather or David to contribute towards their fundraising targets for this epic trip. Simply click on their respective fundraising pages here: Sponsor Heather and Sponsor David.